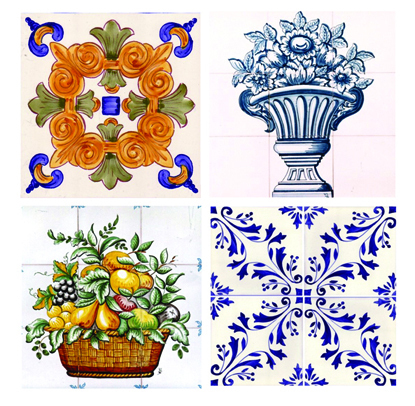 We specialize in high quality hand painted tiles and mosaics. We have over 3000 tile designs. Create murals with your own designs by sending us a picture or photo. Renovate your house with our tiles. All our products are hand made and proudly produced in Portugal using various different painting techniques: hand painting, printing and serigraphy. We sell all over the world at discount prices. Ask us for a quote and we will get back to you shortly.